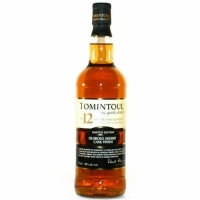 Tomintoul Oloroso Cask Finish 12 Year Old has a warm gold color. Round, creamy with subtle hints of Sherry sweetness. Soft, smooth and elegant style with delicate Sherry presence. Mellow, soothing on the finish.